What it is: Huda Kattan and former Miss Universe, Olivia Culpo, join forces to introduce the Huda Beauty OLIVIA #18 Lash to Huda Beauty’s latest lash collection. 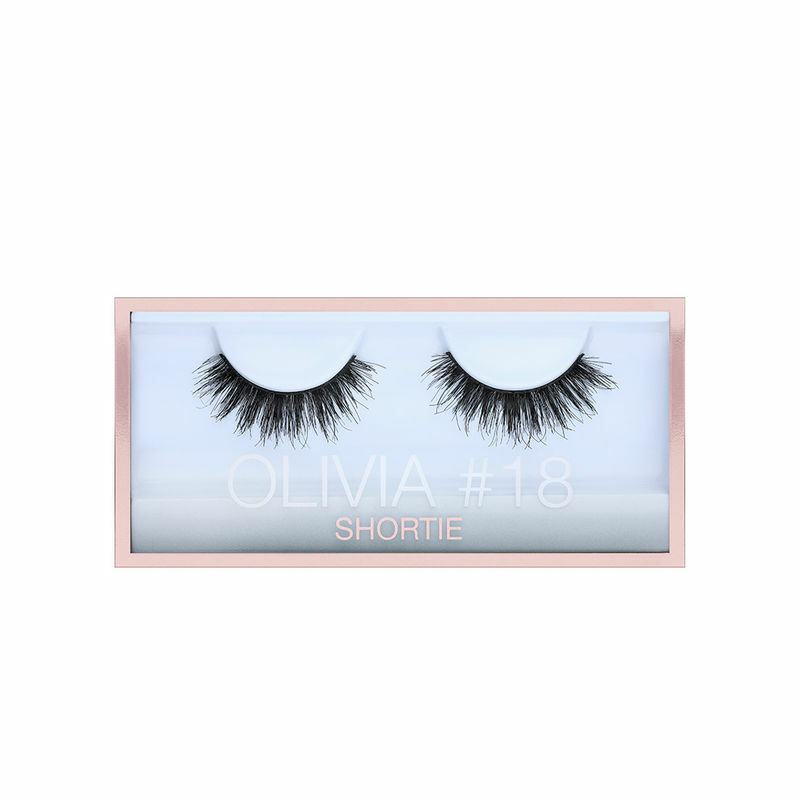 What is does: OLIVIA #18 is part of the new category of SHORTIE lashes, crafted with petite length, making it perfect for everyday wear for beginners and regular users. Double-stacked for added drama, this new lash was created to give eyes natural volume and flattering length! These synthetic, shorter-strip falsies are sure to make every girl feel pageant-ready and are sure to become your ultimate eye accessory!